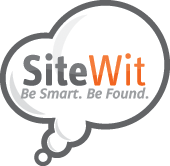 SiteWit provides an easy and effective way to manage your online marketing directly from your smartphone on the go. You can view your website stats, see your best performing keywords, and monitor your spend in just 5 minutes! You also have the ability to manage your leads, and get back to them swiftly from the palm of your hand.